American Continental squad Optum presented by Kelly Benefit Strategies already has a strong Canadian presence on both its men's and women's squads, and in management, but will increase that further for next season. 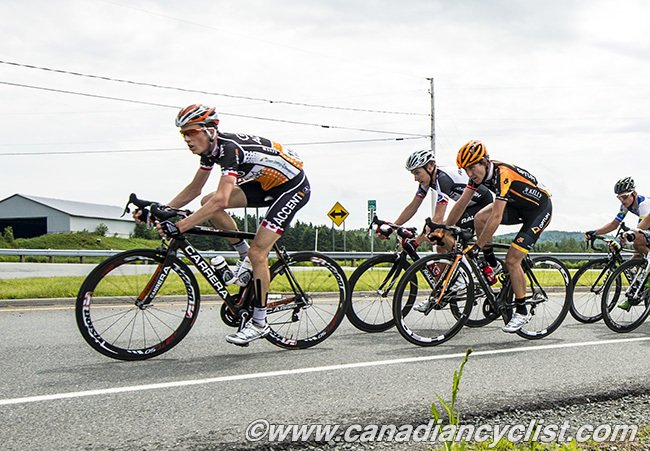 The 2014 men's team will add former Canadian road champion Will Routley, who is returning to North America after a season in Europe with Accent Jobs-Wanty. The women's team will see former Spidertech manager Kevin Field assume Director duties. This Canadian content is in addition to Ryan Anderson on the men's team, team General Manager Jake Erker and men's Director Eric Wohlberg. Two Canadians will not return to the team in 2014 - Marsh Cooper (retired to head to Europe with his wife, but hoping to do some racing over there) and Sebastian Salas (not re-signed). On the women's side, four Canadians will be returning: double national champion (ITT and Road Race) Joelle Numainville, Denise Ramsden, Leah Kirchmann and Annie Ewart. We spoke with both Will Routley and Kevin Field about their new positions with Optum. Will - who is just about to get married - said, "Yes, I'm really excited to be racing with Optum. It's something I've thought about for quite awhile." "In the past few years I was super keen to race in Europe, and had some incredible experiences over there. Really loved it, enjoyed living in France and Spain, the whole thing." "As for this past season, it was not as great for me. I got to do some major races, spring classics, but I was also just slogging through, not really having much fun." "When I was looking at what to do for 2014 I had to consider what my goals in cycling were, but also what would make me happy in life. This past season I found myself in Europe, watching races like Tour of California which were happening back home." "I realized my best option would be to race with a good group of friends in a positive environment. This is what I will find with Optum. I know many of the riders on the team, as well as the management. I really respect these people, and the team they've created." "I value Optum's strong anti doping stance - I think I've made my views on this subject quite clear. I'm excited to be able to focus on the major races in North America. It will also be a good place for me to properly prepare for another run at the National Championships and the Commonwealth Games, both things I'd like to be ready for this coming season." "Basically I think it's hands down the best program on the North American circuit. I think it is a good spot to enjoy racing my bike, find success and win some races. I can already feel the motivation and excitement building for next season." Kevin Field, from his home in Ottawa, said "Being with the women's team will be totally new for me. I was talking with Jonas [Carney, team owner] for a while and we just really decided recently, in the last ten days or so. I've never worked with the ladies before, so that will provide some excitement and challenges." "At the end of the day, it's still biking, so it will all make sense. So now I'm feverishly doing all my studying and research, because I realize that I don't have as much experience with the women's side of the sport as with the men." "It was a huge draw for me [the strength of the Optum women's program]. 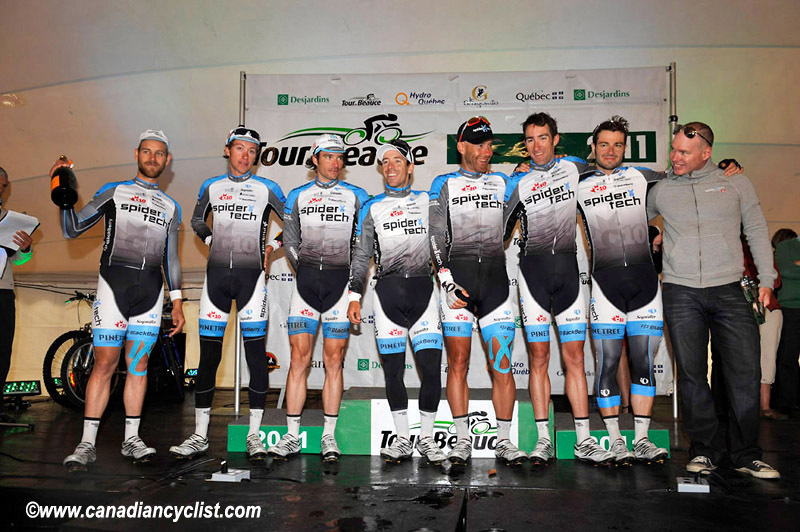 I've known the guys on the team as riders [Field was a director of Erker on Symmetrics, plus Routley and Anderson on Spidertech] and we've always been really close and like-minded on how we approach the sport." "My passion really is Canadian biking, and when I looked at the makeup of the women's team - it's not 50% [Canadian], but nearly. All of our top up-and-coming girls are there, and that was a draw, for sure." Field says that the program is still being planned, but there will be a European component as well as the North American NRC circuit, Canadian UCI races and Nationals. He also says that Optum has made the Team Time Trial at the world championships a really big focus. Field points out that Optum works closely with national teams, and says that he has already talked with [Canadian national coach] Denise Kelly. "We are going to sync up and see how we can blend the programs so the girls get the best racing that they possibly can." Kevin says that the first time he expects to get together with the team will be in January, with another camp in February before the California season gets underway.